Jazz is fun as well as a kind of music that needs complete dedication. Being a beginner, it may seem difficult for you to learn it. But, when you learn it, you will realize that playing jazz can be real fun and enjoyment if you truly dedicate yourself to it. Many times, you listen to famous jazz musicians and wonder how they will be playing those licks and creating them in real time. Basically, jazz is spontaneous, lively, and full of heart. It needs a lot of experimentation and improvisation, wherein each performer needs to use phrases and licks designed to an individual style. Every jazz performer needs to improvise their music over a span of time with experimenting different notes and licks. Moreover, it doesn’t come to them overnight, which means they need to practice it to the level, where they can make their own improvisations. However, we shall discuss here a few tips that will guide you through your jazz improvisation learning. Music is something that needs you have a good ear. The more you listen, the more you can grasp the small notes and licks, as a musician. Likewise, if you want to learn jazz, you need to listen to it properly and carefully. The best way to bring jazz improvisation is to by listening to the great artists you admire. When you listen to others, it allows you to pick up the unique features and characteristics that are otherwise impossible to notate. Try to listen to one or two personalities over a long period of time, which will allow you to absorb their personal way of behavior eventually. Pick up your favorite artists and listen to them carefully and regularly, while you practice. One of the most important parts of learning jazz and improvising it is learning the blues scale. It is crucial for a jazz musician to get the blues scale correct and master it. When you master the blues scale, it will be easier for you to learn to improvise. n the key of C, the scale would is C, Eb, F, Gb, G, Bb and then C. This Blues Scale pattern repeats in all keys: G, D, A, E, B, F#, Db, Ab, Eb, Bb, and F. You can combine the same notes for different chord combinations also. Thus, you can create and improvise the jazz music according to your personal characteristics in music. Jazz is a language like any other music language. You need to learn new words, phrases, and grammar enables greater communication in a new environment. Improvisation remains almost the same just as you learn patterns, licks, chord shapes, various tonalities, sequences, and harmonies. The more you learn and practice it, the more you gain flexibility and fluency in your improvisation. When you know the musical language, you get more freedom to improvise it. It involves improvising within certain boundaries, followed by melody, harmony, and rhythm. Speaking of jazz boundaries, it means pushing through the diatonic limits to explore the chromatic. Diatonic means you remain within the current seven-note scale, and chromatic means that you extend your harmonic exploration to include all 12 tones in the Western music system. Creativity is the core when it comes to composing music. You need to be innovative with your musical ideas when it comes to improvising jazz. One of the best ways of learning improvising techniques is transcribing solos of iconic artists and analyzing their ideas. It is important that you pay close attention to their licks and notes and then implementing them in your practice. Of course, you need to start improvising on your own eventually, but this will help you in your initial stages. It is always better to memorize melodies of a song along with its chord changes. It helps in the improvisation a lot. The melody is said to be the foundation for any improvisation over the tune’s chord changes. Therefore, it is crucial for you to memorize the melodies while listening to the great or your favorite artists. Moreover, doing so will help you in making good improvisations. Music is something that gets a mastery with practice over a long period of time. Likewise, when you start your jazz improvisations, it is crucial for you to take it slow in the initial stages, as it needs a lot of practice and focus at the same time. Therefore, take your time when you are doing jazz improvisations. When you go fast, you are bound to lose your grip as well as focus. Therefore, it is better to take it slow. Jazz is quite similar to the rock music, as they both share origins in the blues traditions. Just like rock, jazz also emphasizes the second and fourth beats in a measure. While the classical music emphasizes the first and third. Therefore, it is important to be aware of the timing to distinguish your song as a jazz piece. Thus, there are significant ways you can make jazz improvisations correctly. However, it comes with regular hard work and practice. 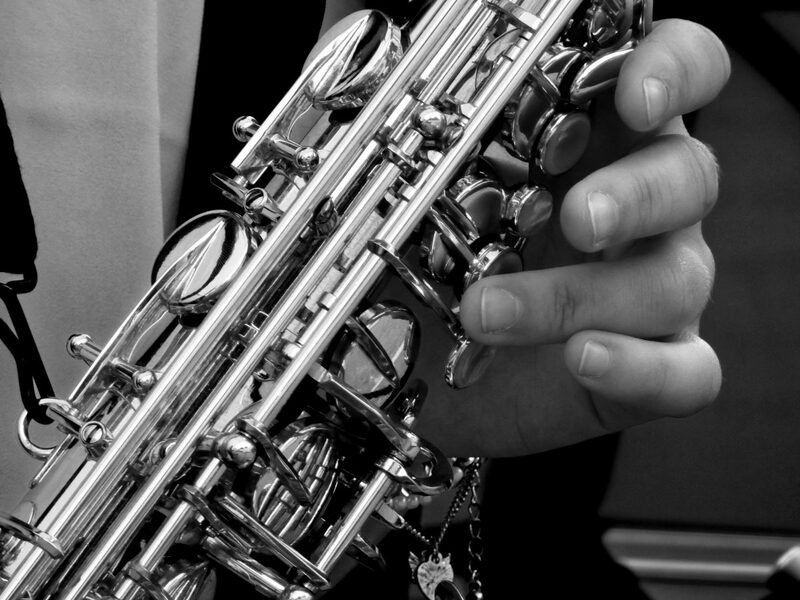 Follow the tips mentioned above, yet try to create your own ways of jazz improvisation.